Dance Teacher Press has creative books, posters, flashcards, coloring sheets, and other teaching tools for dancers. Dance Teacher Press began with The Ballet Combination Book. The Ballet Combination Book is a compilation of notes from years of teaching. Says founder, Janet Jerger, “I was constantly referring to my notes and thought many other teachers might enjoy them too.” Testing the market on ebay, teachers told Jerger it was a very helpful tool that they enjoyed for class planning. 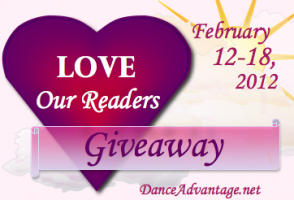 Dance Teacher Press would like to give away a Ballet Bundle to THREE Dance Advantage readers. Ballet Step by Step, an illustrated ballet dictionary for students. 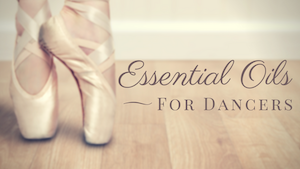 The 64-page book includes definitions, translations and pronunciations for more than 60 of the most basic ballet terms. The book is written in the order a class is conducted, beginning with etiquette and positions. 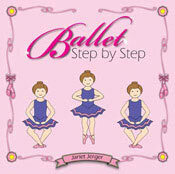 Ballet Step by Step is Perfect bound, 8 x 8, 64 pages, and retails for $13.95. 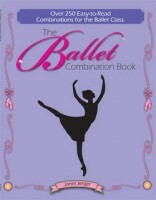 The Ballet Combination Book contains over 250 combinations for the ballet class. You can read DA’s review of these two resources here. But wait, there’s more! Words of the Week provides a visual display of ballet vocabulary. Use “Words of the Week” as a reminder to discuss, define, and demonstrate vocabulary. This visual aid hangs like a spiral bound calendar and displays over 50 ballet terms or phrases. There are 18 displays with 2 to 4 phrases per display. Having the “Words of the Week” system helps insure you cover essential terms throughout the year. Words of the Week is Spiral Bound, 8.5 x 11 folded (Full display is 11 X 17), is printed on high quality gloss stock to last for years, and retails for $22.95. The Ballet Bundle giveaway is open to U.S. residents 18 and over and closes at Midnight EST on Saturday, February 18. Sign-in with the Rafflecopter form below using Facebook or your name and email. The widget will reveal multiple ways to earn entries. The first, commenting on this post, is mandatory for entry (as always). Sign in, and click on Do It and you’ll see. Upon entering, optional tasks for earning up to 10 additional entries will be revealed. Complete as many as you like. Come back and Tweet once every day of the Dance Teacher Press Ballet Bundle giveaway. Just make sure after each task you return and let us know you DID IT in the Rafflecopter form (don’t worry, it’ll save your other entries). If you’re having trouble seeing the form, I suggest updating or trying another browser. Winners will be announced within days of the giveaway’s close and will be contacted directly. Please read our Giveaway Policy. Studio owners, as you try to manage it all, you won’t ever feel alone again with a DanceStudioOwner.com membership. More giveaways - CLICK HERE! I always end the class with music from a classical ballet (Minkus/Paquita) and make them pose as if they were on stage- croise devant arms up!!!! !